It is the 1970s in Northern California. A farmer and his teenage daughters, Anna and Claire, work the land with the help of Coop, the enigmatic young man who lives with them. Theirs is a makeshift family, until they are riven by an incident of violence - of both hand and heart - that 'sets fire to... read more the rest of their lives'. This is a story of possession and loss, about the often discordant demands of family, love, and memory. 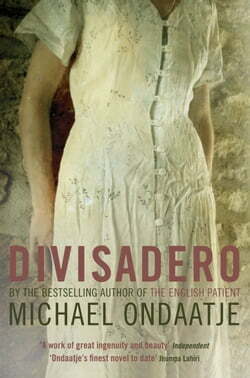 Written in the sensuous prose for which Michael Ondaatje's fiction is celebrated, Divisadero is the work of a master story-teller.